ATP Paris Masters: Kohlschreiber v Haase | Tradeshark Betfair Tennis Trading Blog!Tradeshark Betfair Tennis Trading Blog! Head to heads are 1-1. They last met on an indoor court in Moscow in October 2015. Kohlschreiber won in straight sets. Haase’s win was back in July 2012 in Kitzbuhel, Austria. He won in 3 sets. Neither player has had a great season although if you look at their results in a little detail Kohlschreiber has had the occasional strong week. More recent form is much stronger for Kohlschreiber. He reached the fourth round at the US Open in August. He didn’t play another match until Stockholm in October where he reached the quarter finals. Haase has come through the qualifying rounds this week. His last main draw win was at the US open in August. In fact August was a rare strong month for him. He reached the quarter finals in Toronto and the third round in Cincinnati, all on hard courts. As always if Haase serves well he can keep the sets close. 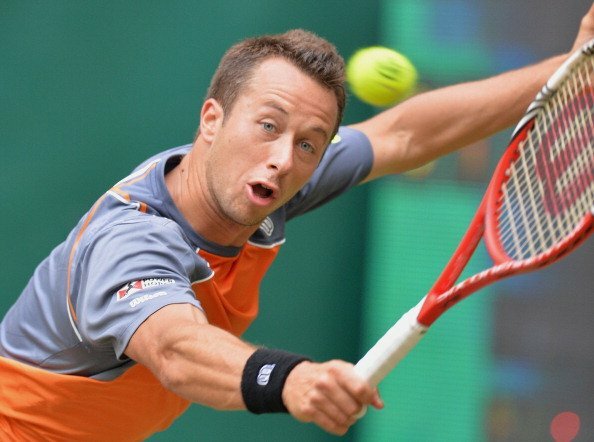 Back Kohlschreiber around 1.85. This entry was posted in Daily match picks and tagged atp paris masters, betfair tennis, free tennis tips, prediction, tennis trading, tradeshark, Trading tennis by .Bookmark the permalink.